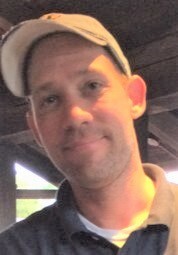 Gary E. Smith, Jr. "GJ"
Gary “GJ” E. Smith, Jr., 45, died suddenly on June 11, 2018 in New Castle. He was born in the summer of 1972, in the state of Rhode Island. He was from Wilmington and graduated from Concord High School. After graduation, he immediately joined the US Navy, proudly serving his country on the USS Carl Vinson and in the Reserves. Gary worked at 7-UP and Canada Dry as a salesman and was most recently in management at Shop Rite. He will be remembered by his great sense of humor and always there to help others when needed. He adored his son Cooper and loved spending time with him at the beach. Gary loved the Dallas Cowboys and would want everyone to remember we still have 5 rings and you only have one. Gary will be sadly missed by his wife of 17 years, Kristen Smith and their son Cooper, his parents, Linda and Gary Smith, sister Katie (Dan) Walton, brother Wesley (Angela) Smith, and sister Rachel (Bryan) Subach. He is also survived by one niece, Areaya and four nephews, Zachary, Alex, Jackson and Bryson, sister-in-law Kimberly Seldomridge and his parents-in-law Rita and David Hughes and Anne and Brit Seldomridge. A Committal Service will be held on July 5, 2018 promptly at 2:00 pm at Delaware Veteran's Memorial Cemetery, 2465 Chesapeake City Road, Bear, DE. Please arrive no earlier than 10 minutes prior to service.